Used it as a bottom pull. I like the versatility of it. I recently got the entire M4000 groupset to upgrade a bike, and I am extremely impressed with the quality of the new Alivio lineup. Easily better than my older Deore setup that's on my other bike. This front derailleur is stiff and direct feeling when you go to get into another chainring, and there has been no hesitation from it whatsoever. It's Shimano, so needs no introduction! The derailleur is really great. Solid built and smooth shifting. However, installation is a bit of a pain. The shims for different sizes of tubes are not very good. 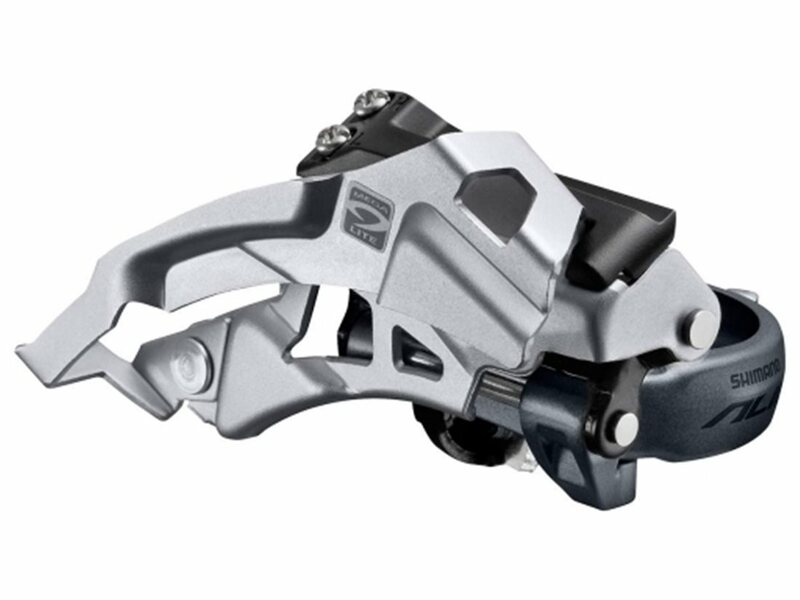 Plus, when you tighten the derailleur down, they tend to cause it to move a little as you tighten. My other issue is lack of clear instructions anywhere. If you know anything about bikes you should be okay though. The listing for this item indicates both Chainstay Angles 63-66 and 66-69. How do I specify which one I need when ordering? Is this 3x or 2x derailer? I'm using it as a 3x, but it will handle either. I bought this and it is 3x. Hi, it is a 3x derailleur. 3x and it works well. Can I run this on my 8-speed drive train or will I get constant chain rub?